← Come Visit Us at the NFMT Trade Show! The State of Maryland is trying to pass a new bill, House Bill 1034, also known as the Clean the Streams and Beautify the Bay Act of 2011, which would take a huge step to clean up a major form of pollution around the state. One of the biggest culprits polluting our waterways is plastic bags. 99% of all plastic bags in the U.S. are not being reused! Trash seen on embankment of stormwater management facility at local shopping center. This bill will prohibit a store from providing disposable carryout bags unless the bags meet specified requirements; requires a store to charge and collect a fee for each disposable carryout bag the store provides to a customer; requires the operator of a store to remit a specified amount of money to the Comptroller; and requires the Comptroller to distribute specified amount of money to the Department of Labor, Licensing, and Regulation, Chesapeake Bay Trust, and Department of Human Resources for specified purposes. Bags captured in storm drain inlet. This bill has already been passed by our neighbors in Washington, D.C. In DC prior to this bill, 22.5 million single use bags were given monthly, whereas in January 2010 after implementation of the bag bill, only 3 millions bags were used, an 86% reduction! 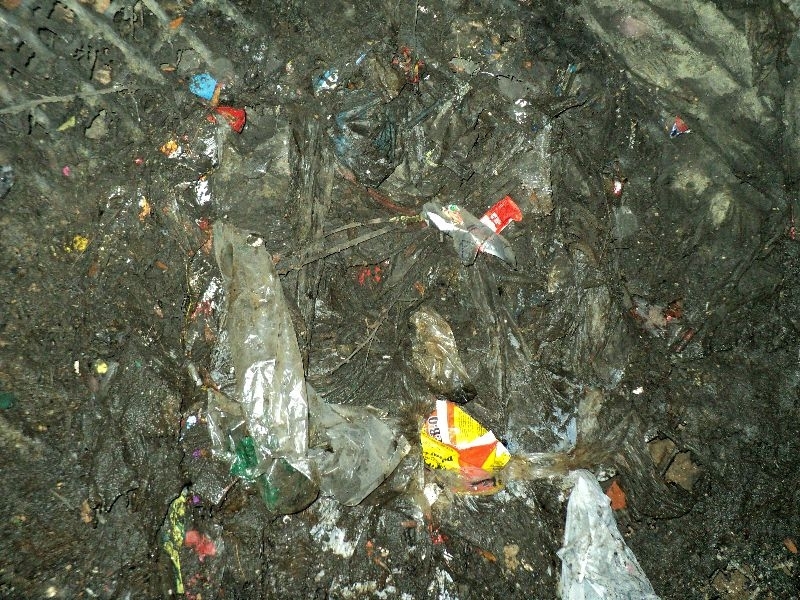 Unfortunately, we see lots of plastic bag pollution during our inspections and maintenance. Many parking lots are full of discarded plastic bags and bottles which find their way into the stormwater management system. 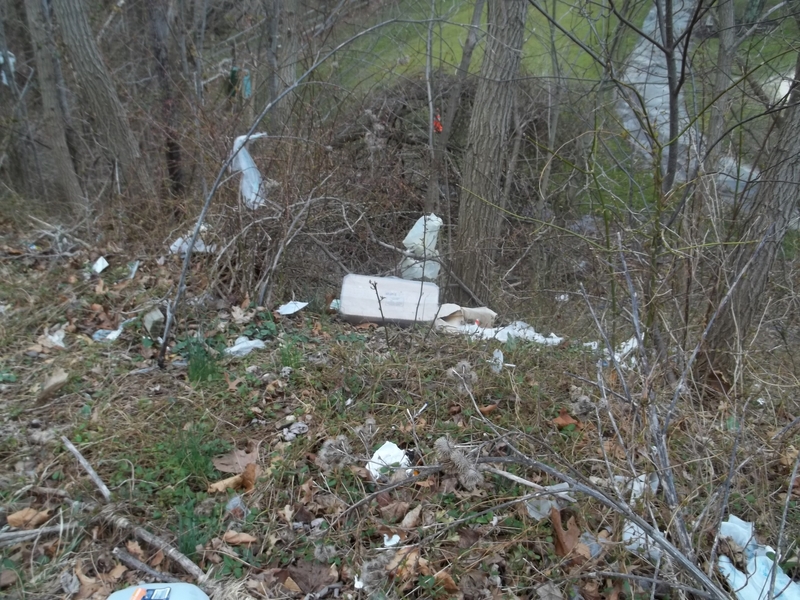 These sites have inlets stuffed with trash and plastic and often the stormwater facilities are littered with bags and other trash. 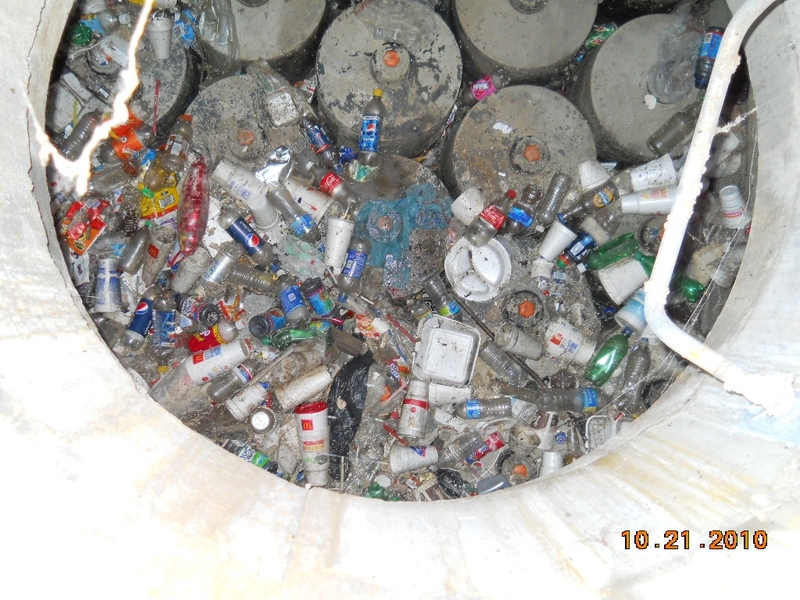 Pastic bags and bottles in Stormfilter seen during a site inspection. Ultimately a lot of this trash finds it way to the ocean. Some of your plastic trash may even be floating in the Pacific or Atlantic garbage patches, that have been the topic of other posts here. Every year, around 5 billions plastic bags are used worldwide. Over 1 million plastic bags are being used every minute! Every man, woman and child on our planet uses 83 plastic bags every year. Plastic bags are difficult and costly to recycle and most end up on landfill sites where they take around 300 years to photodegrade. They break down into tiny toxic particles that contaminate the soils and waterways and enter the food chain when animals accidentally ingest them. Plastic bags are now amongst the top 12 items of debris most often found along coastlines. Clearly, we support this legislative initiative as it will dramatically reduce the pollution we see in our work every day.